Today is a day to celebrate love and for me Valentine’s Day includes everyone I love in my life, so I thought it would be a good time to show you some of my favorite shots of our family & friends and us from our wedding day taken by our talented photographer Leslie Barbaro. The theme we discussed with Leslie for our wedding was Laughter & Love (also engraved on our wedding bands), and we knew that bringing together some of the best people we know that she would be able to capture that. There are a lot of smiles, big belly laughs and emotion in these photos and I can’t thank Leslie enough for capturing everything we wanted and so beautifully. Enjoy! 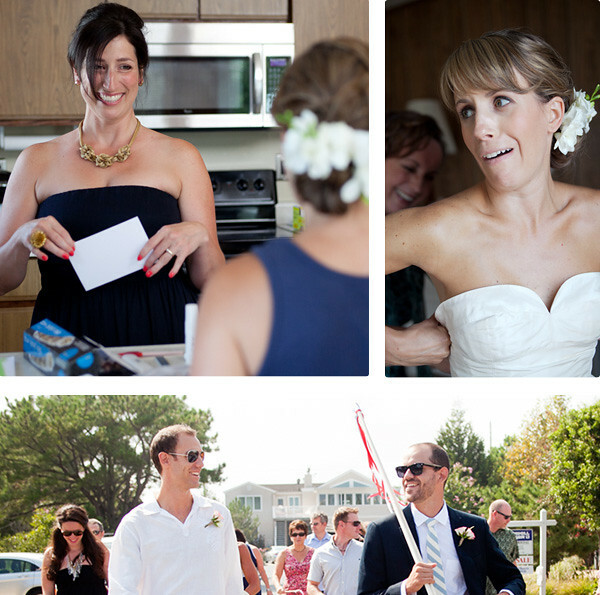 Top left: My maid of honor Kimberly, having a peek at my vows for Jeff, Top right: Getting into the gown-HA! Bottom: Jeff and his brother/best man on their way to the beach for the ceremony. Leslie Barbaro is located in New Jersey and she can travel to surrounding areas for your special occasion, such as Delaware, Pennsylvania and New York . She was professional, wonderful to work with and a great listener. I sent Leslie a board of inspirational images I had collected from my Pinterest collection and she nailed our concept. I highly recommend her services for anyone looking for someone who is creative, talented and master of her craft. Thank you Leslie, you did a wonderful job and whenever I look at our wedding day photos I fill up with love and gratitude. Looking at these photos brought back all the emotions, fun and excitement of that day. 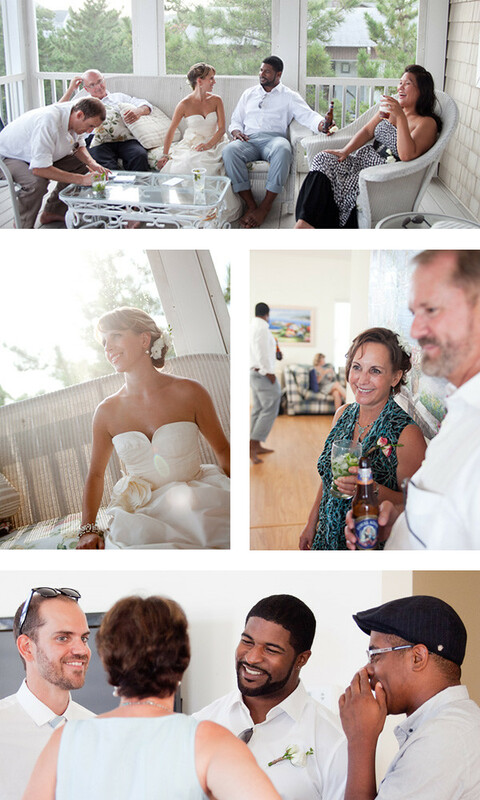 It was a wonderful wedding and everyone enjoyed themselves. 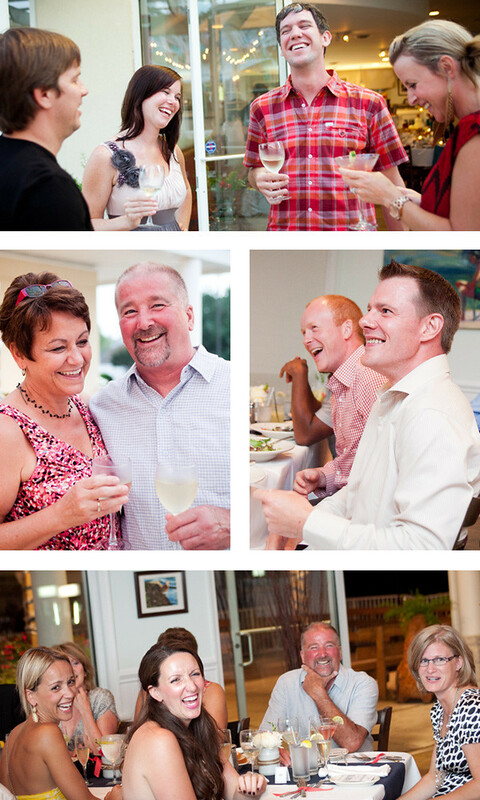 Leslie certainly did a marvellous job capturing all those special moments. Thanks for sharing such lovely pictures of the wedding! Thanks for sharing Brandi! It is so obvious from the pictures that everyone was so happy and relaxed and not stressed out at all! The perfect wedding in my opinion! Love the pic of you and your mom! Take care. i thoroughly enjoyed visiting your site. i didn’t make it to the wedding. this brought it home.